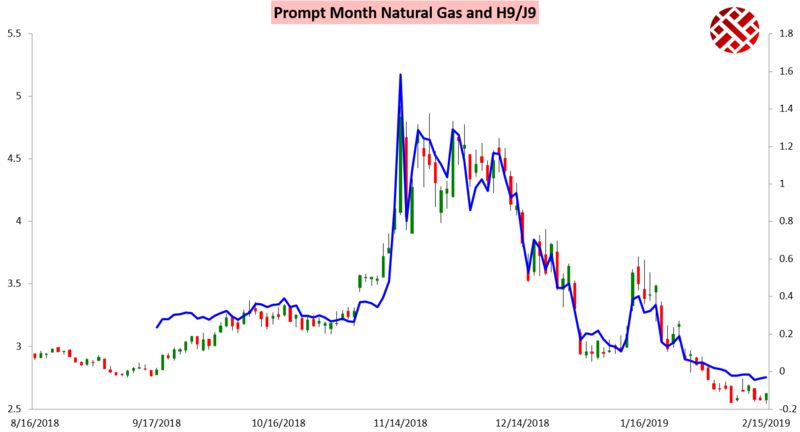 The March natural gas contract rebounded a couple percent today as weather models began adding back demand and weather-adjusted demand continued to impress. It was the March contract that was again strongest on the day, with firm cash prices helping it lead throughout. The result is two straight days with the March/April spread bouncing. 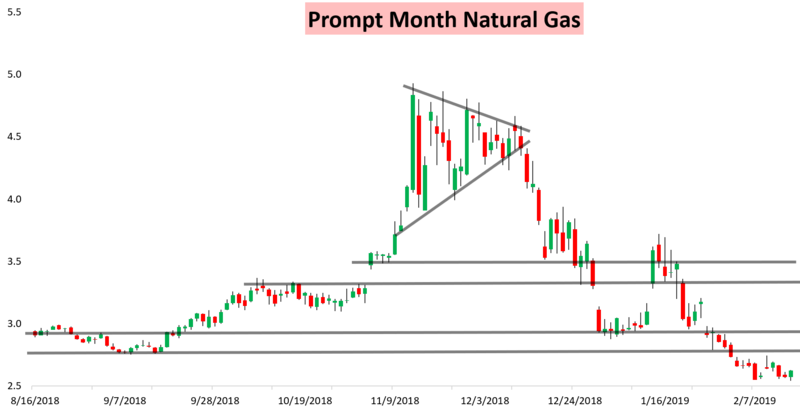 In our Morning Update our sentiment turned back Slightly Bullish on overnight GWDD additions and tighter balances at these lower price levels. We specifically highlighted too that afternoon 12z model guidance should trend even colder to support prices and that Week 3 forecast risks were more supportive. 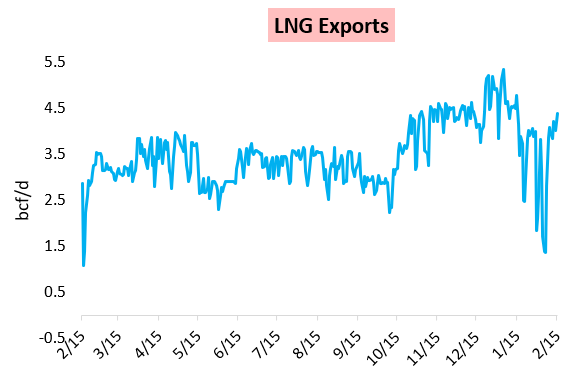 LNG exports came back this week as well, helping to tighten up balances. We track these daily for clients in our Note of the Day. 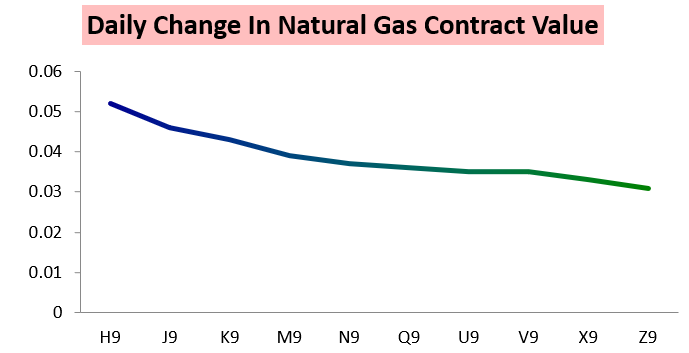 Heading into the weekend, we released our Pre-Close Update which outlines how we expect weather model guidance to adjust over the weekend and how natural gas prices are most likely to react next week. 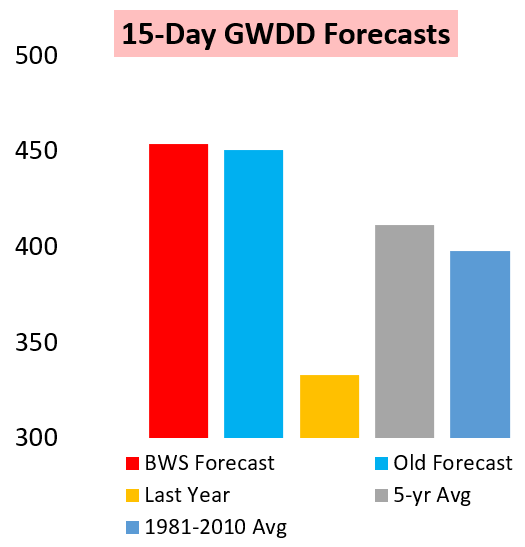 We've also been outlining the latest weather-adjusted balances in our Note of the Day, outlining how demand at these price levels has been acting. To give all this research a look, try out a 10-day free trial here.